Over the past few years, India has carried out the Incredible India advertising campaign to positively change its image and boost the tourism industry, the largest service industry of India. 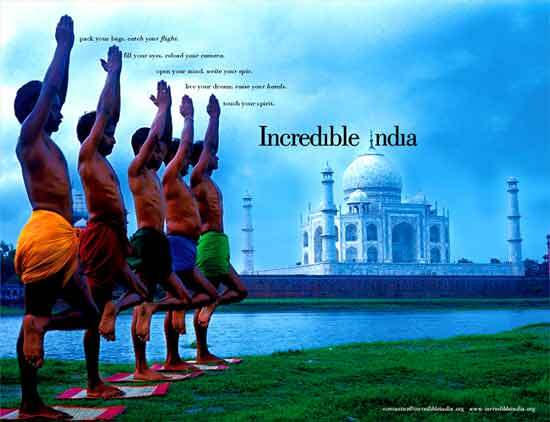 The Incredible India campaign has been aggressive especially overseas, and I could easily encounter its advertisement in several mediums such as TIME magazines, buses, and televisions. 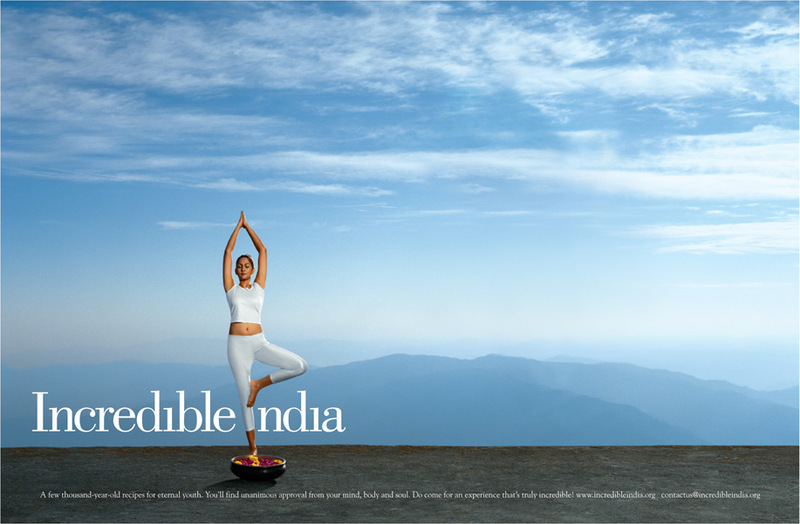 While in the real world, India has successfully repositioned itself from an impoverished nation to an international hub for IT, its advertising campaign also strengthened its image as an exotic holiday destination. 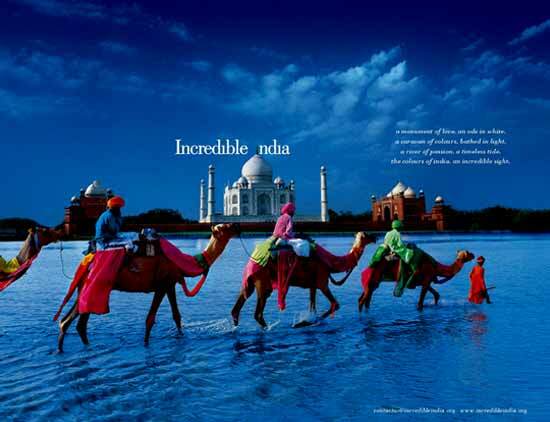 Take a look at the some of the pictures I selected from the collection of the Incredible India advertisements. The beautiful arrangement of colors in all pictures reminds me of the rich culture and tradition of India. The letter ‘I’ of India is replaced by the top part of the architecture of the Taj Mahal. I don’t know why they did it in all pictures, but it’s interesting. There is a huge emphasis on peacefulness, especially in the pictures of people practicing yoga below. India seems to be the ideal place for spiritual renewal. The themes covered in the pictures are rather trite. Taj Mahal, Yoga, beautiful landscape are the scenes many people already expect to see in India. However, the strength of this advertisement is that it successfully unifies the viewers’ preconception of India with the image of the nation. It does not exaggerate India’s recent economic and technological growth. It does not force to reveal something people would have never expected to see in India. Instead, it highlights the popular images of India with integrity. 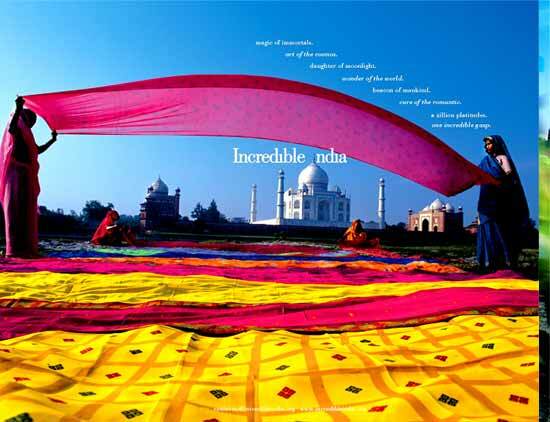 Although sometimes decades-long nation branding strategies that truly mirror the internal nature of a nation bring the most profound impact, the Incredible India campaign shows that short-term advertising campaigns can also be a powerful nation branding tactic with a great result. According to Travel & Tourism Competitiveness Report, India’s tourism revenues were expected to surge by 42% from 2007 to 2017. 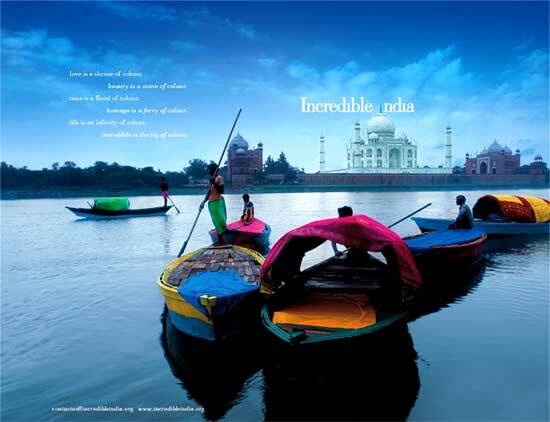 Below is the video clip of Incredible India advertising campaign.